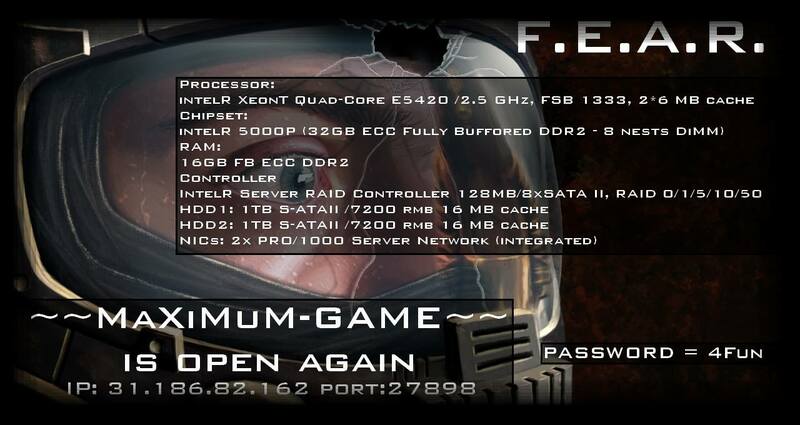 The =E.U.R.O.P.E.= Server is back. 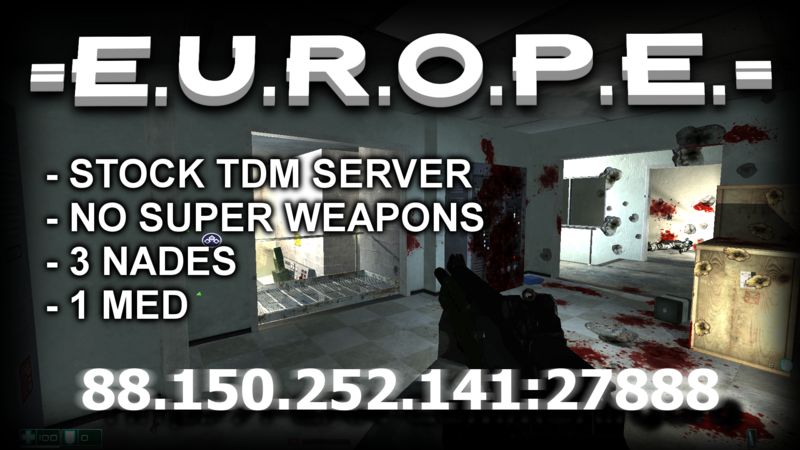 We are helping promote this new Stock – TDM – Europe located Server for the community. We will be trying to keep some activity level in order to make It easier for people to find a friendly server to join at any time. Currently the admins ingame are people from several clans, and we are looking for other experienced and respected players to help on this task. Unlike other servers, this is not run by a single clan, but for everybody who wants to get involved. 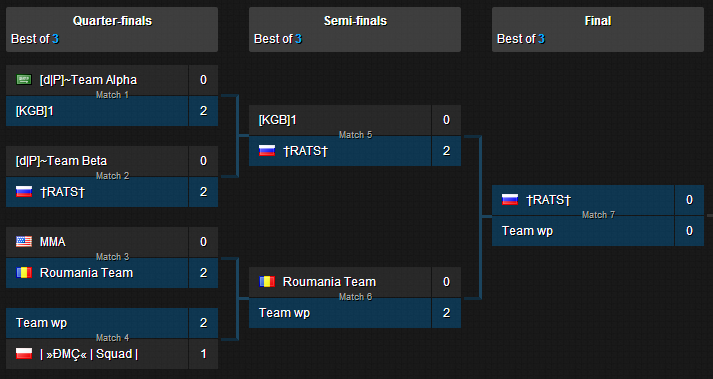 3on3 TDM Tournament – Playoffs Begin! Teams are locked and loaded.